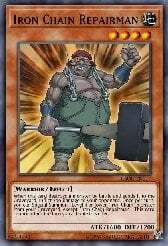 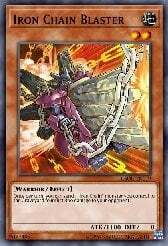 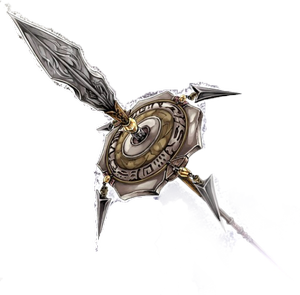 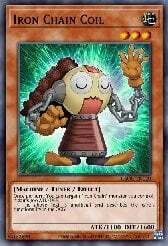 ''Iron Chain", known as "Chain" (Ｃ（チェーン） Chēn) in the OCG, is an all-EARTH archetype from Yu-Gi-Oh! 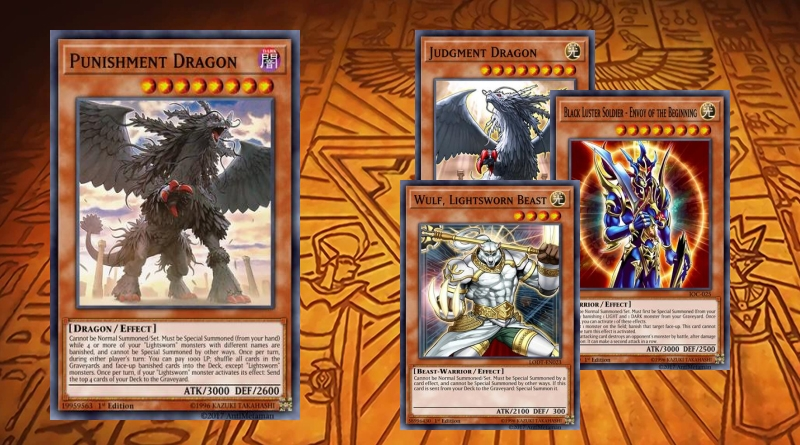 5D's used by Mr. Armstrong, included in Crossroads of Chaos. 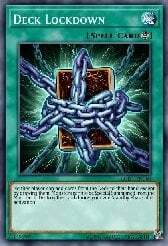 "Iron Chain" cards focus upon a combination of milling the opponent's Deck, manipulating the ATK and DEF of monsters on the field, and inflicting minor burn damage to the opponent. 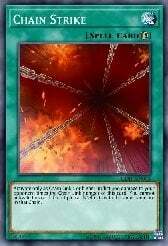 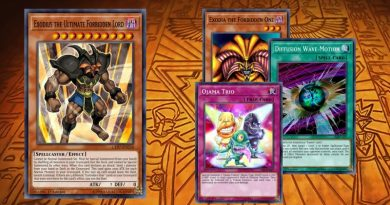 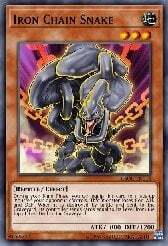 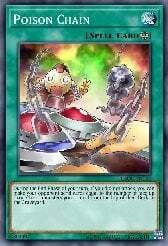 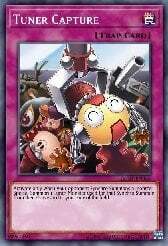 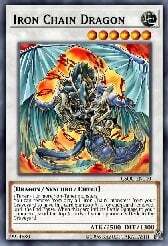 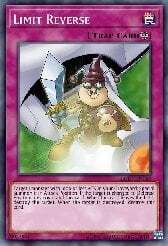 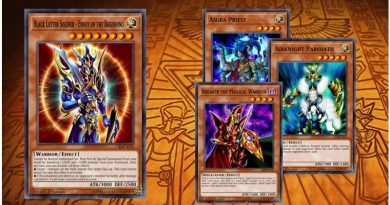 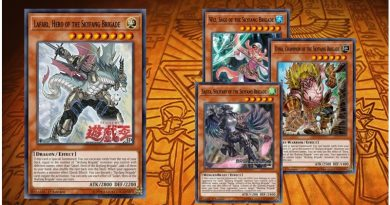 A Deck dedicated to "Iron Chain" monsters can be relatively flexible because of this. 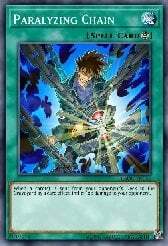 The user can opt to stall the opponent with cards like "Gravity Bind", and use either "Poison Chain" to quickly make the opponent run out of cards, or "Iron Chain Repairman" to constantly recycle "Iron Chain Blaster" to burn the opponent each turn. 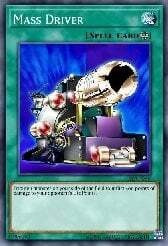 Both can be used at once, and can be further devastating when combined with "Cemetary Bomb". 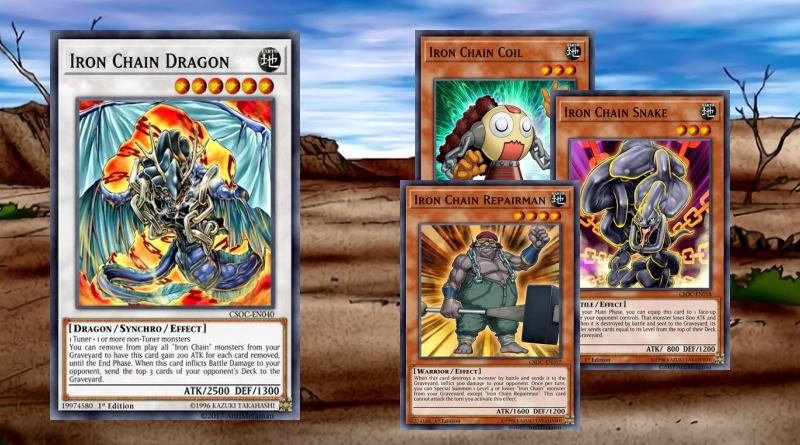 The user can also go for a beatdown strategy by taking advantage of how "Iron Chain Coil" can increase the ATK and DEF of an "Iron Chain" card permanently, as well as how "Iron Chain Dragon" can temporarily increase its own ATK. 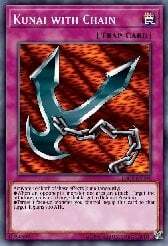 Most "Iron Chain" monsters are not very strong on their own. 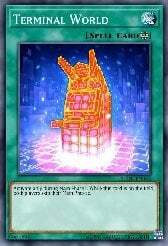 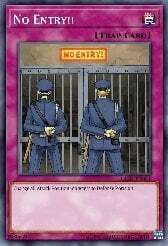 Without a card that can protect them during battle (e.g. 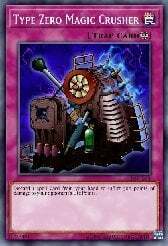 "Scrap-Iron Scarecrow") or increase their ATK (e.g. 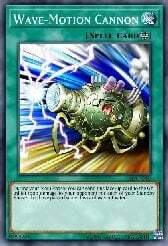 "Gaia Power"), most cannot survive long - at least, not until "Iron Chain Coil" increases their ATK after a few turns. 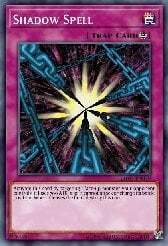 Since the archetype is not fully dedicated to a single method of defeating the opponent, it may not be as easy to control as other Archetypes, unless the user has a very good idea of what these cards are capable of as a group and what external support works well with their intended strategy.